On the heels of a difficult loss to Penn State, Northwestern will travel to Indiana on Saturday in dire need of a win. Not only does the contest offer the Wildcats an opportunity to get back on track, a victory would also bolster their resume with the Big Ten Tournament approaching. Standing in NU’s way is Hoosiers guard Tyra Buss, a playmaker the team cannot afford to take lightly, senior guard Ashley Deary said. 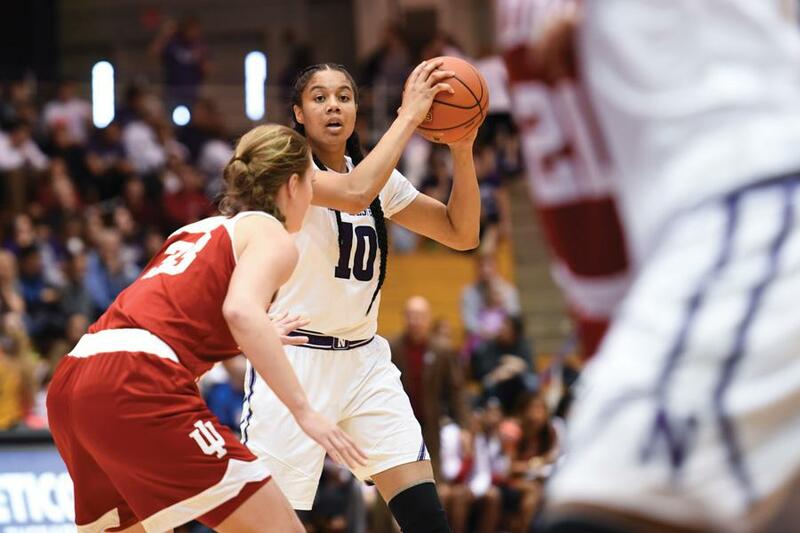 In order to hold off Buss and come away with a second win against Indiana, senior forward Nia Coffey said the Cats need to focus on tenacious defense and grabbing defensive boards. NU struggled mightily offensively in its loss to Penn State on Sunday. Despite a strong defensive effort, the players struggled to maintain their stamina and put points on the board toward the end of the game. In preparation for the upcoming slate, the team has been working on staying focused and pushing through fatigue during practice, Deary said. “Learning to shoot when we’re tired, I think that’s one of our biggest issues,” she said. Deary and Coffey were the only two players to score in double-digits in the loss to the Nittany Lions, with Coffey tallying 28 points and grabbing 17 rebounds. The two players combined for 69 percent of the team’s total points. With no word about injured senior guard Christen Inman’s status, Coffey said she has to “work hard on both ends of the floor,” focusing on the team’s game plan and defensive schemes. The Cats will have to fight even harder without the support of a home crowd. The game is a rematch of the Cats’ Jan. 18 showdown with the Hoosiers. The contest was the team’s first after the death of guard Jordan Hankins, and a crowd filled the lower bowl of Welsh-Ryan Arena as NU topped Indiana. Weeks later, Hankins’ memory still drives the team.